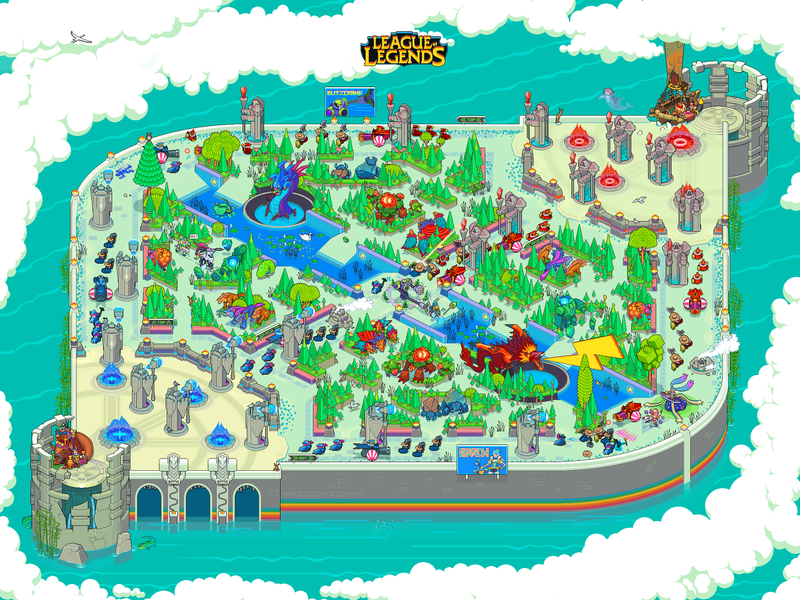 Pixel art Summoner's Rift wallpaper! The arcade is open! To celebrate the release of the latest retro arcade skins, Arcade Riven and Battle Boss Blitzcrank, we worked together with artist Megapont.ru to bring you something a little bit new and special. 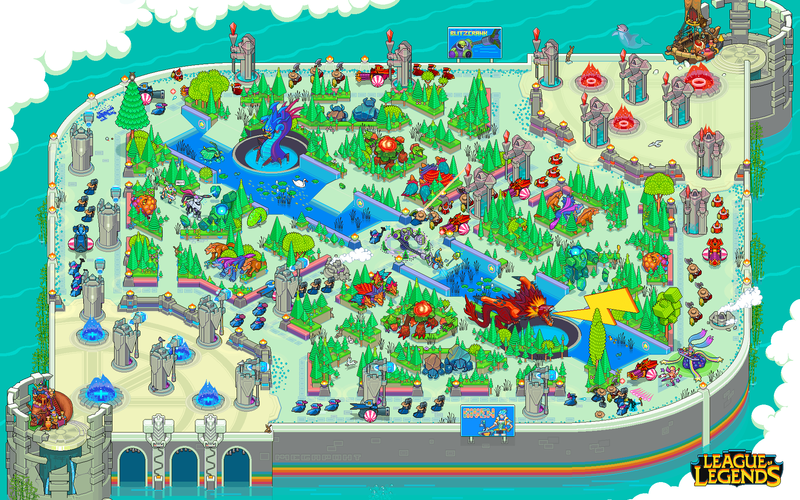 Welcome to 8-bit Summoner's Rift! 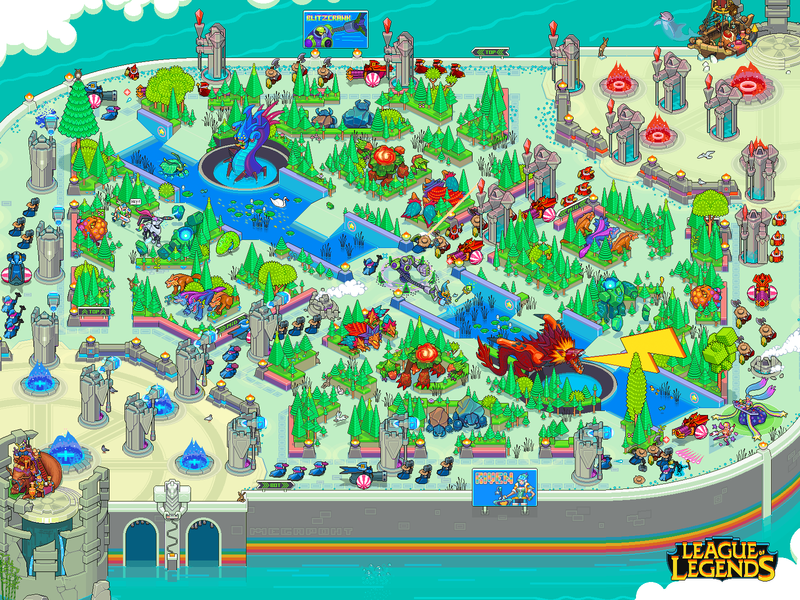 When we think back to 80s and 90s gaming, we think secret levels, Easter eggs and fun hidden all over the place, so that's what we wanted in an 8-bit Summoner's Rift. 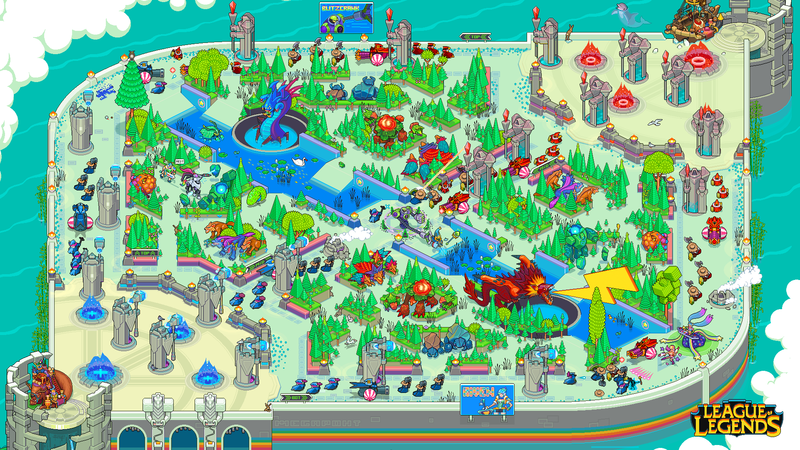 Scratch the surface and you'll see adorable pixel minions traipse up and down the lanes among giant retro towers. Raptors, Krugs and Bramblebacks are all gloriously stylised. Even the dragon and Baron Nashor are getting in on the action. (We suspect the artist may have a preference for the former, since he's huge and has a giant lightning bolt shooting out of his face.) 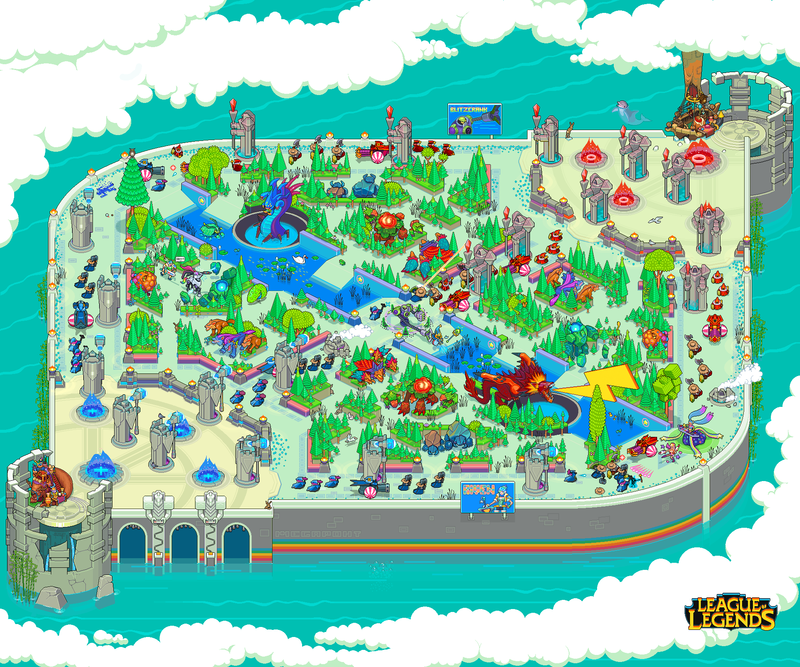 Keep an eye out for more secrets hidden around the map. Like the look of it? Then good news, because we have high-resolution versions available to download so you can scrutinise every pixel at your leisure. Once you're done with that, they make excellent desktop backgrounds. Once you've decked out your computer, tablet and Palm Pilot (keeping it retro) with whichever flavour fits your device best, make sure you take a screenshot or photo and show us! We're eager to see just how much cooler your tablet looks now it's covered in a pixelated Baron Nashor rather than a photo of a family member or pet or whatever (you can always switch back next time they visit).